The former two-division champion Conor Mcgregor is currently on a business tour, and over the weekend he was a guest of honor at St. Patrick’s Day Parade in Chicago. During that he spoke to ABC7 Chicago about his fighting future and revealed he’s in negotiation with the UFC, aiming for a summer return. Mcgregor also said he’s willing to take a co-main spot if UFC is ready to ‘give me a rightful share’ in the company. Mcgregor last fought back in October’s UFC 229 PPV event where he lost the bid to capture the lightweight title when Khabib Nurmagomedov submitted him in the fourth round. Currently, he’s serving a six-month of the suspension handed by NSAC, that means he’s eligible to return to Octagon by April. Moreover earlier this month Mcgregor was arrested on two felony charges after stomping on fan’s phone outside the Miami hotel. Despite that Irishman knows what he worths. Former UFC welterweight champion Tyron Woodley is coming off a fifth-round decision loss against Kamaru Usman at UFC 235 earlier this month. “The Chosen One,” was lobbying for a rematch but it seems like UFC have some other plans for Usman who’s next opponent will be Colby Covington. After losing a title fight against Khabib, Mcgregor was asking for an immediate rematch, however Russian eyes with the winner of UFC 236 title fight between Max Holloway and Dustin Poirier, so that is out of range for Irishman. Irishman had previously linked to a fan favorite matchup with Donald ‘Cowboy’ Cerrone however the talks of this bout stalled out when the UFC wants their showdown to co-headline the event. Other than that Mcgregor also recently said he owes Nate Diaz a trilogy, so where does this fall is seemingly unknown. Woodley added none of these fights make sense for him. Mcgregor and Woodley had heated moment backstage at UFC 205 since then ‘Chosen One’ has talked about Mcgregor on many occasions. Irishman has twice fought at welterweight against Nate Diaz so it’d be nothing new if they Mcgregor agrees to throw down against Woodley. Even former welterweight champion giving ‘Notorious’ a home advantage. 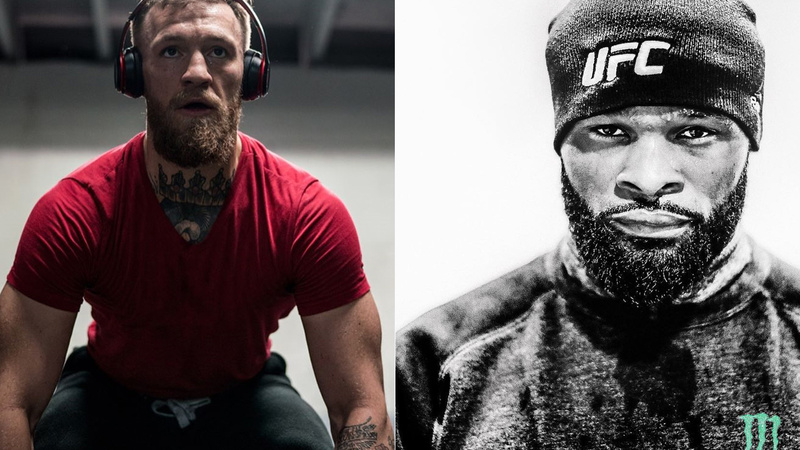 Who wants to see Mcgregor vs. Woodley down the road?